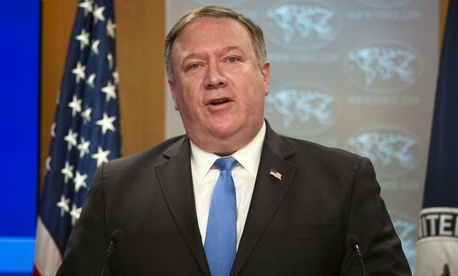 The State Department on Wednesday reiterated a position that “political retaliation will not be tolerated,” reacting to a letter sent Tuesday from two Democratic committee leaders questioning the recent promotion of a policy planner accused of intimidating career employees. Cummings and Engel had written to State last March about Hook’s activity, but received none of the documents they requested. The chief example they gave in the new letter involved career employee Sahar Nowrouzzadeh, who asked Hook to support her after she came under fire from conservative news organizations as an “Obama holdover” running policy toward Iran. Hook allegedly ignored false information being circulated about her. Another Trump appointee mentioned in the letter, copied to their committee chairmen, is former beverage lobbyist and State Senior Adviser Mari Stull, reported to have researched the affiliations of career employees. The lawmakers asked for a special briefing and a set of documents, by Sept. 4, on Hook and other individuals, as well as how State is handling the controversy over political retaliation.